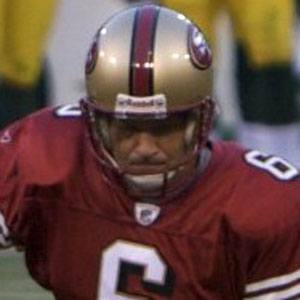 Former placekicker who played for 8 teams in his 14-season NFL career. He went undrafted in 1996, after playing four seasons for San Jose State University. He ended his professional career with a 80% field goal percentage and 314 points. He had two children, Gabby and Cade, with his wife Gina. He was teammates with Frank Gore on the San Francisco 49ers from 2005 to 2010.